Detectives investigating a car hijacking and an attack on a house in Larne have arrested a man. A car was hijacked in the Craigy Hill area of the town and was subsequently set on fire outside the property on the Bruston Brae Road in the early hours of Monday morning. 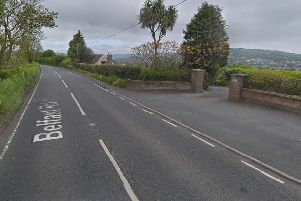 The 30-year-old man was arrested in the Larne area on Monday evening. He has been arrested on suspicion of attempted murder, possession of a firearm with intent to endanger life, hijacking, and aggravated vehicle taking. Two searches were also carried out by police in the Larne area on Monday night.